Clean Air Technology, Inc. manufactures at our facility, load-bearing and non load-bearing cleanroom wall panels in all sizes and configurations to have maximum flexibility in our cleanroom design and build capabilities. Load-bearing wall panels utilize "built-in" air return ducts as part of the metal lined interior of the panels. These wall panels utilize adjustable return air grilles, double pane flush windows, built-in electrical outlets and process piping for gases and liquids, as specified. Non load-bearing wall panels are used with external sheet metal ductwork systems and for internal partition walls. Our prefabricated, modular wall panels are designed to provide clean installation in a fraction of the time of on-site 'stick built' construction. At your disposal are experienced designers, fabricators and builders familiar with all aspects of creating the best cleanroom solution for you, given the parameters of budget, timeframe, and custom application. No cleanroom challenge is too big for what we have not done before, we are eager to do. CAT has the essential experience and technical know-how that it takes. Our cleanroom wall/deck systems have a record of proven reliability in over 800 installations worldwide. 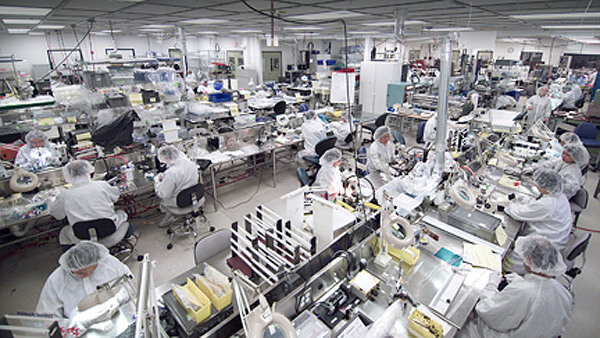 Few cleanroom companies have accomplished this feat in so many diverse markets and industries. CAT offers turnkey cleanroom engineering and CAD design services for most cleanroom projects for architectural, structural, mechanical, and electrical disciplines. A thorough inspection of the proposed cleanroom job site is usually required and includes field measurements, identifying column locations, photographs of the important items and interferences, items to be scheduled for demolition, and discussing the total CAD requirements directly with your personnel. Also, the number of personnel making the on-site inspections and the number of trips required is determined by the size, duration, and phases of the project. The design drawings can be reviewed and sealed by our staff professional engineers, registered in the particular state the project is in, so that the drawings are ready to be submitted to the local building and code authority for approval and permits. We tend to be involved with every aspect of your cleanroom project, right from feasibility study to engineering, building, and installation including after-the-sale support. The financial component of cleanroom building has become even more critical to some cleanroom builders because of the state of the global economy. Many cleanroom companies outsource key and/or major aspects of their engineering to designers and builders around the world. The choice of these sub-contractors then becomes an issue where cost savings is the cleanroom contractor's sole priority with a lesser regard for quality control. In this situation, there may be a lack of communication of important details from inside the company to the outside vendor where there is little that the lead contractor can do to alter the situation because of decision rights. Clean Air Technology's financial standing is very strong and with our manufacturing plants and main offices all located in Canton, Michigan USA, our ability to integrate all components of ISO 14644 rated cleanroom system properly is greatly enhanced compared to the highly outsourced model. CAT offers a variety of cleanroom wall finishes including steel, aluminum, FRP, vinyl-covered gypsum, epoxy paint, emulsion paint, and hardboard. What type of finish chosen depends on the equipment to be used on them, as well as, cleanroom classification, usage, and product manufacturing. Also, CAT finishes are carefully evaluated for specific compliance to meet building regulatory requirements and testing criteria as such ASTM E84 Flame Spread and Smoke Development Values and specific health and safety requirements and local seismic codes. Training is a critical factor in our success. We're committed to offering top training programs for our employees and our customers in all aspects of cleanroom engineering and design, fabrication, and operation. Continuous cleanroom training allows us to keep our skills sharp in all areas of competency which are always evolving, as well as, to ensure quality builds that meet and exceed your expectations. As a value-added benefit to the physical cleanroom, we believe that by providing learning opportunities for our customers, we can assist them in the efficient operation and maintenance of their cleanroom. Clean Air Technology always stands in support of your investment. In summary, CAT pre-engineered modular cleanrooms can offer you construction alternatives plus flexibility that most cleanroom companies can't, while maintaining the engineering and design criteria and regulatory guidelines required.